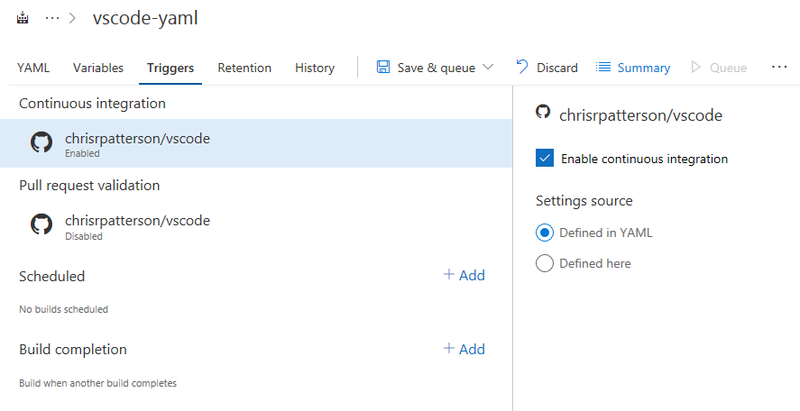 In the Sprint 133 Update of Visual Studio Team Services (VSTS), we continue to expand on the languages and platforms we support for build and release. Whether your application uses Azure Database for MySQL, Kubernetes, or Ruby on Rails, we’ve got you covered. The list keeps growing in Azure DevOps Projects as well. Now it’s never been easier to get started on a Go or Ruby application in Azure. A new notification type and better support for NuGet upstream sources is also available now in Package Management. We have recently been looking at ways to make search results more accurate, especially when a search includes special characters. In this Update, your searches that include special (non-alphanumeric) characters are more likely to help you find what you’re looking for. For example, previously if you searched for A+B, your results could contain A+B, A-B, A*B, A$B, A/B, etc. Now you will only see A+B in the results, without the false positives. Phrases are also recognized better. For example, previously a search for new List<string>() would have returned this partial match, without the >() ending. However, with this Update, the full phrase is returned and highlighted. In the settings for a Team, you can associate one or more Area Paths, which helps you focus Backlogs, Boards, Plans, even Dashboards to just the work for that Team. If you wanted to write a query for a Team though, you had to list out the specific Area Paths for that team in the query clauses. Now, a new @TeamAreas macro is available for you to easily reference the Area Paths owned for the specified Team. This feature was prioritized based on a suggestion. 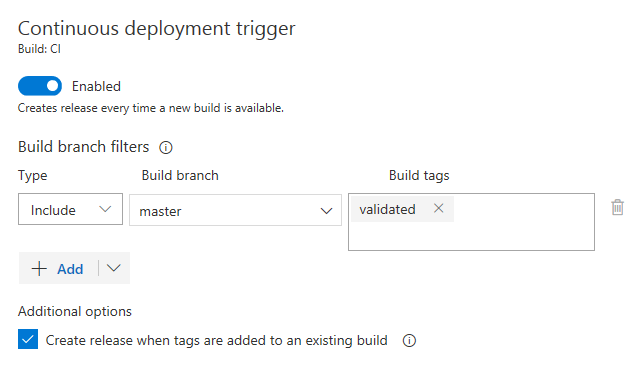 Continuous deployment triggers create a release on build completion. However, sometimes builds are post-processed and the build should only be released after that processing completes. Now you can leverage build tags, which would be assigned during post-processing, in the trigger filters of the release. When releasing from GitHub Enterprise or external Git repos, now you can configure the specific branches that will be released. For example, you may want to deploy only builds coming from a specific branch to production. Previously, the only way to know about new versions of packages you use was through your package client (such as Visual Studio, NuGet, or npm). Now, you can now configure email notifications about the packages you care about. You can get notifications about new versions of a specific package or of all packages in a feed. You can also be notified when packages are promoted or deleted. To set this up, hover on your profile picture in the upper right corner, choose Notification settings, and then click New subscription. In the dialog that appears, select the Package category. We continue to invest in upstream sources, which enable you to centralize all your package dependencies in a single feed and keep saved copies of all the packages you use. If you have multiple feeds with NuGet packages, now you can add one as an upstream source of the other within the same account. This allows you to only have a single feed in your nuget.config file, which gives you benefits like deterministic restore. See the upstream sources documentation for more information. Previously, only feeds created after the Sprint 130 Update could use the nuget.org upstream source. Now, most Package Management feeds created before that Update can use it too. If your feed is ready, you’ll see a banner above your packages letting you know that you can enable the nuget.org upstream source. Upstream sources to public package feeds like nuget.org and npmjs.com keep a saved copy of every package you use, so you’re protected against outages. See the upstream sources documentation for more information. When you want to create a link to another wiki page, you can just type the standard markdown syntax for adding links [link name](/ and you will get an enlistment of all pages in the current wiki. Earlier you were able to click and drag a wiki page to the markdown editor to create links, but this makes creating links in pages even simpler. Publishing markdown files from a Git repository as a Wiki, which we released last Update, will mean you’ll start seeing multiple wikis in the same project. When searching, it may be difficult to wade through similar documents and find what you’re looking for. Now, when you search for your wiki page you will be able to scope down your results by applying the Wiki name filter on the search results pages to help you find your content faster. 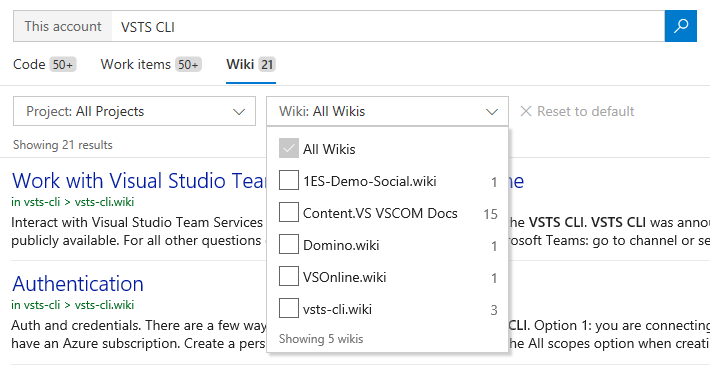 Now you’ll be able to move your VSTS account between Azure subscriptions or resources groups in the Azure portal, just as you can with most other Azure resources. See the move resources documentation for more information.